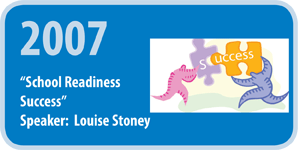 For our first glimpse of "School Readiness Success,” speaker Louise Stoney joined us from New York State. Ms. Stoney presented us the benefits for children by community partners working together. With her extensive background of policy work, she shared some insight on how to work with different levels of government to fund early childhood. Minnesota State Representative Bud Nornes, Nancy Jost, West Central Initiative Early Childhood Coordinator and the MN Office of Early Learning Director Dr. Karen Cadigan joined as a panel to discuss making the connection between national research and local efforts. The afternoon session allowed time for the individual, community School Readiness teams to map out their early care and education services through a facilitated discussion. Many remarked the depth of their early childhood services available and set forth with plans-in-hand, to strengthen their local systems of care for young children and their families. Moving the Forum to the spring of the year, Dr. Jason Downer from the University of Virginia led us through the many transitions of School Readiness Success. 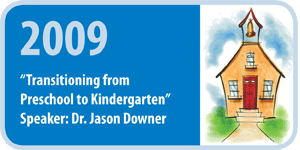 Dr. Downer’s extensive background in classroom evaluation and observation provided us with an understanding of the teacher-child, the family-school, the school-school and community-school relationships and how these affect the child’s school success over the long term. This was also our first glance at the concept of school alignment and its advantages. Our panel discussion provided the audience with local examples of school readiness preparations from prenatal on up. Julie Smith of Wheaton provided her perspective as a parent and child care provider. Carol Meissner, Douglas County Public Health, encouraged us to look at the "whole child” when we talk about school readiness and how mental, physical and cognitive development all work together. Sue Heisler, White Earth Child Care Program, emphasized the important role the child care providers have in the child’s and families’ lives. Lyn Johnson from the Fergus Falls Special Education Cooperative reinforced the idea of the "whole child” and explained where to seek help when children need additional help. Deb Hoven, Minnewaska Area Kindergarten teacher and Lee Kulland, Campbell-Tintah Superintendent, offered the benefits of child’s school readiness and the K-12 system’s frustrations and expenses when children are not ready for kindergarten. Pope County Sheriff Tom Larson capped off the discussion with his own frustrations and the many encounters he has had as a law enforcement officer, but was optimistic, with people like those in the audience, who are seeking a better future for all children. The afternoon was set aside for the community teams to continue their local work. Newer communities to the effort mapped out their services and made preliminary plans. Communities attending the first forum revisited, expanded and refined their community plans. 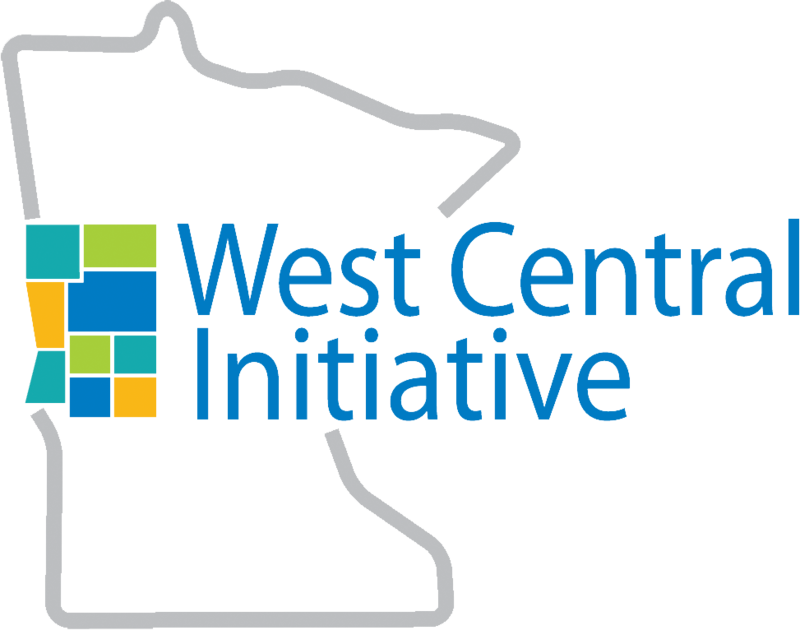 In 2010, West Central Initiative and the Early Childhood Initiative communities partnered with the Kellogg Foundation to bring speaker Dr. Karabelle Pizzigati to Fergus Falls. Dr. Pizzigati gave us national statistics on children's well-being and the importance of investing early in a child's life. 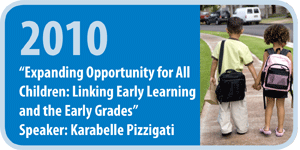 With her federal-level policy work, Dr. Pizzigati advocated for changes in policy that allows more funding for early childhood programs and opportunities for partners to work together. Deb Hengel, Grant County Early Childhood Initiative Coordinator, "Look What I Can Do!” an early screening tool for children ages birth to two years-eleven months. Cathy Kinney, Minnewaska Area ECFE/SR coordinator, Child Care Consultation, providing support for child care providers to work through children's difficult behaviors. Rachel Johnson, Breckenridge Elementary kindergarten teacher, seeking higher education, based on child development. •Mike Anderson, Otter Tail/Wadena Community Action Council, Father's Resource Center on the importance of father involvement. Barb Fabre, Director of the White Earth Child Care Program, on how working collaboratively and pooling resources, more can be accomplished for children. Jody Snow, Morris Area Schools Spanish teacher, on bi-lingual preschool. Connie Good, Alexandria District 206 ECFE/School Readiness director on Teacher-Child Interaction Training (TCIT), promoting self-regulation among children.  With a strong foundation of PreK-Grade 3 school alignment theory built within several of our communities, the Forum moved from an educational and awareness focus to an application focus in 2011. 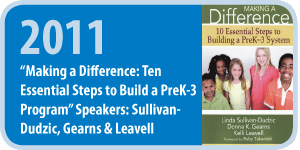 Linda Sullivan-Dudzic, Donna Gearns and Kelli Leavell, authors of "Making a Difference: 10 Essential Steps in Building a PreK-3 System” joined us from Bremerton, Washington. The speakers helped us navigate the 10 steps on building an alignment team and how to frame the community's education needs for the alignment process. The afternoon session had a different look also. The three speakers led separate breakout sessions for early childhood professionals and community members, K-3 teachers and administrators. The sessions dove deeper into the roles of the various players of the alignment team and how alignment can benefit the children they come in contact with. Later afternoon, team members reconvened to work through the 10-step process for their community. 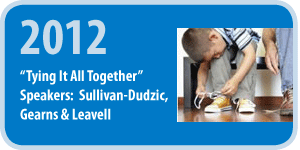 "Tying it All Together” was a fitting theme for the 2012 Prek-Grade 3 Alignment Forum. Tying together the past years' kindergarten readiness theory, the practical application from the 2011 Forum and the direction the State of MN would like to take, Linda Sullivan-Dudzic, Donna Gearns and Kelli Leavell joined us in west central Minnesota again to bring the many pieces together in a working forum. Karen Cadigan, Director of the MN Dept of the Office of Early Learning gave us an update on the Race to the Top—Early Learning Challenge Grant and State's direction on PreK-3 Alignment. Beginning her presentation, Linda Sullivan-Dudzic reminded the audience of the importance of alignment and being a team member. Ms. Sullivan-Dudzic, Kelli Leavell and Donna Gearns guided the Alignment teams through an exercise to map out their current assessments, standards and benchmarks and instruction, seeking areas of duplication. The day wrapped up with the teams reaffirming their efforts towards alignment.